If you are a carer there may be times when you need to arrange for some kind of extra care, or you need a break or holiday. There is help available to assist you in both paying for and arranging this care. This article will outline some of the main forms of help available. If you would like help from the Local Authority the person you care for should undergo a Community Care Assessment. Increasingly Local Authorities are providing what are known as ‘carers services'. These carers’ services encompass anything which helps the carer to look after the person they care for. Examples of carers’ services on offer might include help with paying for taxi fares to get to medical appointments, a mobile phone to help the carer and person they care for to stay in touch, or access to free or subsidised counselling and emotional support. Carers’ services are quite a new concept and some Local Authorities have been quicker to take them up than others. It’s definitely worth contacting your Local Authority or talking to a social worker to see what’s on offer though. Direct payments can give carers more choice and flexibility over the care services they use. Local Authorities use direct payments so that the carer can use this money to pay for services. This is the alternative to social services arranging the care for you. Direct payments can only be used to pay for care which the person you care for has been assessed as requiring. If you receive direct payments it’s important to keep good records as to how they are spent, so that you can account for them to the Local Authority. If you need to get away for a break, your Local Authority may be able to offer you or the person you care for vouchers to pay for alternative care while you are away. The vouchers can be used to pay for services from the Local Authority or another approved organisation. There are a number of charity and voluntary organisations which are specifically run to provide support, information and advice to carers. Your local council should be able to advise you on any groups available in your area. 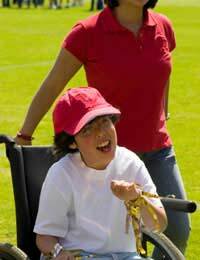 Alternatively you could research organisations who specialise in the disability which the person you care for has. If you are a carer and need a break both you and the person you care for are entitled to an assessment. The council may provide you with practical and financial help with respite care. The monetary help you receive will usually be dependant on the financial assessment of the person you care for though. Some charities will also provide carers with respite care funding and services. Greeting from Bangladesh! I live ina poor village of my country most of the people of the village are day labors. They have no capacity to help other people of my village. There are 8 disabled children (all documents are remained) and adult live my village out of them 04 is in the same family. They are living in a vulnerable situation. They have no capacity to bear the expenditure of their treatment as well as three meals in a day. I am a NGO worker, so I am exploring the best opportunity and kind hearted man who are interested to provide support for them. If any person or organization stand beside them along with essentials financial supports, which will helpful for us to reduce their vulnerability conditions.